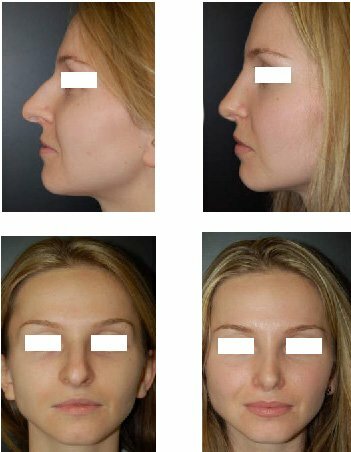 nose with nose surgery ? Nose surgery is one of the most popular surgical cosmetic procedures in the world. 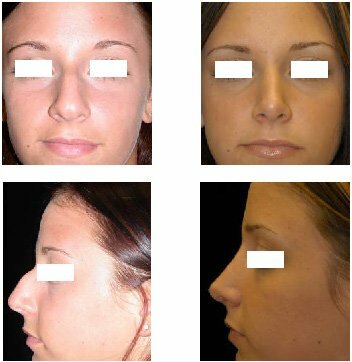 Rhinoplasty reshapes the nose for aesthetic and corrective purposes. 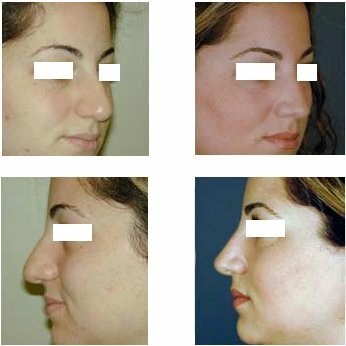 Whether the issue is birth defect, injury, or age-related changes, rhinoplasty improves the appearance and proportion of your nose, enhancing facial harmony and self confidence. 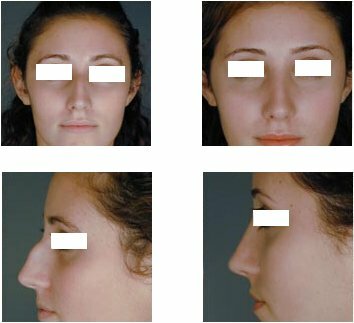 Even slight changes to the shape of the nose can have a dramatic effect on appearance and can change how people interact with you. 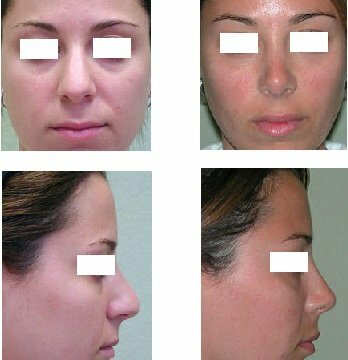 The goal of rhinoplasty is to improve the nose aesthetically without creating a “surgical look" in order to create harmony with other facial features. 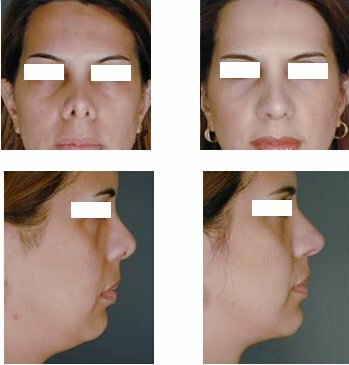 Additionally, many patients have a chin or cheek surgery in conjunction with rhinoplasty to create a better balance of features. 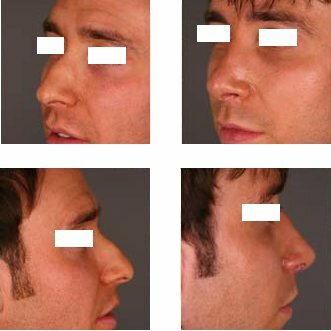 · To reduce or increase the size of your nose. pointed or too hooked in shape. · To relieve breathing problems. Rhinoplasty usually takes one or two hour, though complicated procedures may take longer. During surgery the skin of the nose is separated from its supporting framework of bone and cartilage, which is then sculpted to the desired shape. The nature of the sculpting will depend on your problem and your surgeon's preferred technique. Finally, the skin is redraped over the new framework. If the patient has a deviated septum (cartilage and/or bone causing obstruction inside the nose), septal surgery, called septoplasty, is simultaneously performed. The incision is placed entirely inside the nose. The septoplasty removes portions of cartilage and/or bone that are causing the obstruction. The incisions are then closed with fine suture, followed by placement of a splint to the outside of the nose. The splint helps retain the new shape while the nose heals. If packing is placed inside the nose during surgery, it is removed the next morning following surgery. The nasal splint is usually removed seven days after surgery. At that time, tape is applied to the nose for another seven days and then removed. 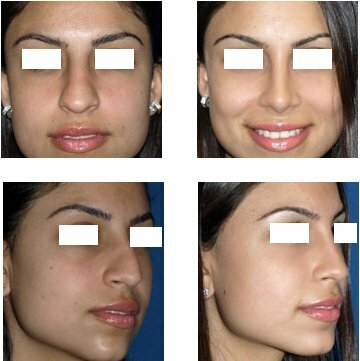 During your first consultation, your plastic surgeon will examine you and discuss recommendations for the rhinoplasty technique to yield the best results. Expectations are an important element in what makes a good candidate. 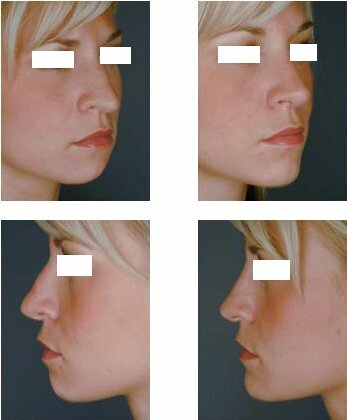 The best nose surgery candidates want to improve the nose appearance. The best candidates are well adjusted and otherwise happy with their lives. 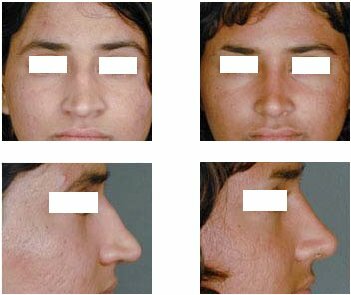 He/she should not expect rhinoplasty to transform them into someone else. A nose that is considered "ideal" is one which is harmonious with the other favourable facial features. Our perception of beauty helps define what makes an ideal shape for a female or male nose. There is also always a bit of an artistic element to this, thus the ideal cannot always be boiled down to simple lines and numbers alone. However, artists and plastic surgeons alike can devise some guidelines or proportions that represent the aesthetic ideal by studying beauty and faces that are universally thought to be beautiful. 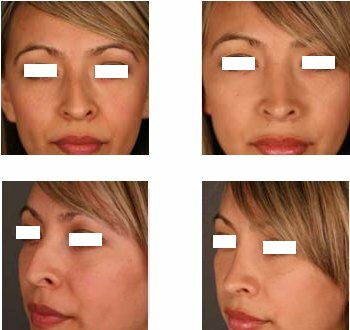 Artists have long made studies of beauty and aesthetic proportions and, today, facial plastic surgeons must similarly understand beauty in order to make changes that can enhance their patients' beauty. 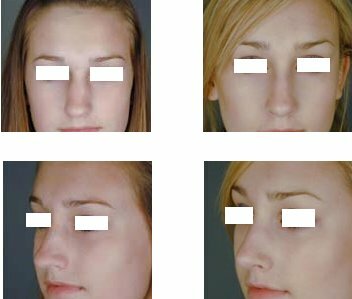 Many young people consider rhinoplasty; however, the procedure should wait until after the teenage growth period that occurs in the mid-teens. At Makeover Travel we prefer not to operate on teenagers until after they've completed their growth spurt-around 15 or 16 for girls, a bit later for boys. It's important to consider teenagers' social and emotional adjustment, too, and to make sure it's what they, and not their parents, really want. Local anaesthesia and complementary sedation, or general anesthesia, depending on the extent of the procedure and on what you and your surgeon prefer. After your surgery you will have to rest at the hotel for 48 hours. A splint, internal tubes or packing will likely be placed inside your nose and a splint or bandages placed on the outside to support and protect the new structures during initial healing. You can do many activities within the first week. Swelling which is mild to moderate and peaks at two to three days then disappears rapidly over the next three weeks. Though pain is a relative thing, most rhinoplasty patients experience more discomfort than pain. In addition, this discomfort is most often associated with nasal packing, or packing of the nose after surgery to prevent or control bleeding. The nasal packing is typically removed within a day or so after surgery, and patients typically feel a great deal of relief once this occurs. Patients may also feel congested after surgery. Bruising between the eyes and onto cheeks which is most at two days then disappears rapidly by three to five days. Rhinoplasty requires that incisions be made in the skin which will result in scars. With closed rhinoplasty procedures, however, the incisions are confined to the inside of the nose, thus resulting in no visible scarring. 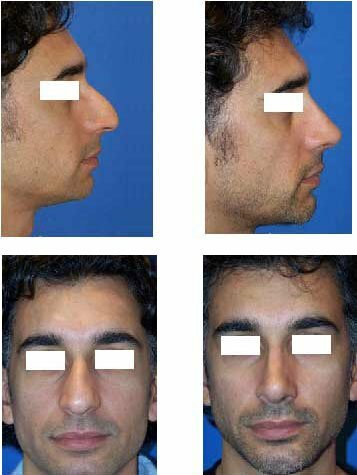 With open rhinoplasty, a small incision is made on the columella, or on the underside of the skin between the nostrils. This results in a small, fine-line scar that is well-concealed and barely noticeable in time. It may take several months for swelling to fully dissipate. The definite results will be fully appreciated after six months. Known as a revision rhinoplasty specialists, our surgeons are sought after by patients from around the world for help in correcting some of the most challenging complications and cases in rhinoplasty. Their work in Santa Cruz specializes in obtaining natural results in both rhinoplasty and revision rhinoplasty surgery. 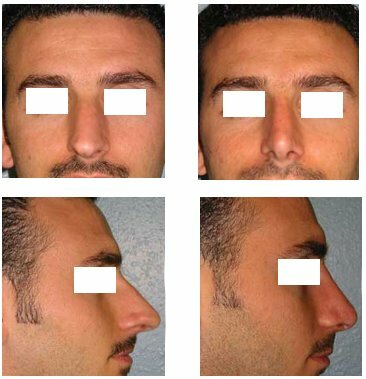 For rhinoplasty, our medical team use their skill as artists and surgeons to shape the nose to fit the face, rather than make it appear artificial. In addition to their work with revision work, our surgeons also specialize in rhinoplasty for ethnic noses, ensuring tailored results that look proportional to an individual's ethnic and racial features. Cosmetic surgery is increasingly becoming a part of mainstream society. We live in a competitive society where looking our best has a direct effect on our personal and business relationships. Just as we head to the gym and plan our diets to feel good, more and more of us are considering cosmetic surgery to improve our looks as well as our self esteem. Aging and sun-exposure can also takes it toll on men and women, sometimes making an individual seem older than they actually are. Facial rejuvenation procedures like face-lifts, facial implants, dermabrasion, chemical peels, and Botox injections can restore your once youthful appearance, and replenishing your vitality.